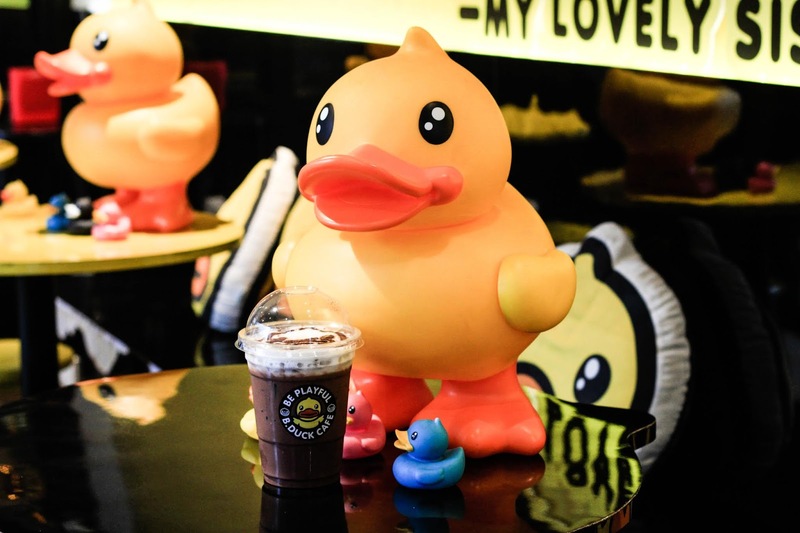 Even though, the size can be a bit smaller than some other cafes around, it's surrounded by cute little ducks, which is very popular for the tourist, especially from Hong Kong and China. 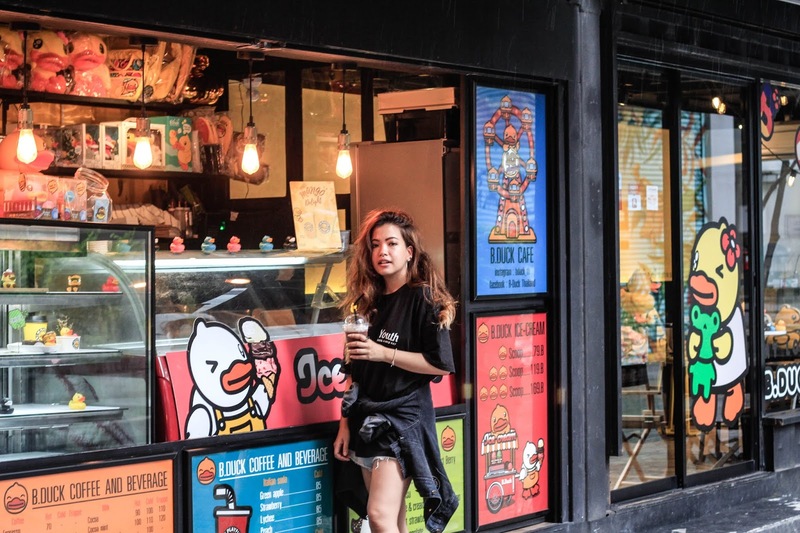 Yellow, orange, such vibrant decor is very cheerful (If you love a minimal cafe, this place may be not your cup of tea btw!) 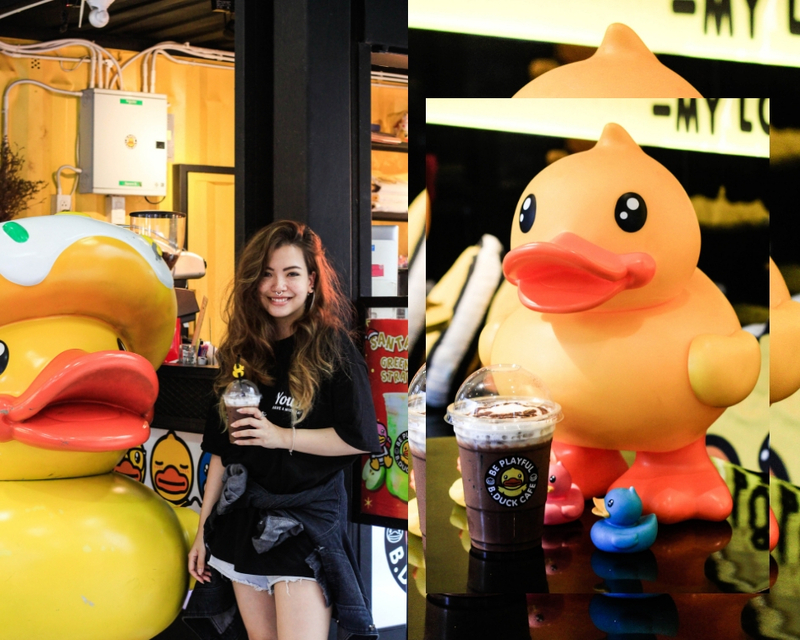 Fun, young, relax, 3 words I would use to describe B Duck Cafe. Such a cute place, I would love to visit one day, the dessert looks adorable. These pictures are crazy! Sold me on going to Bangkok. Oh my gosh it is so so cute!! How could you not giggle at every turn! 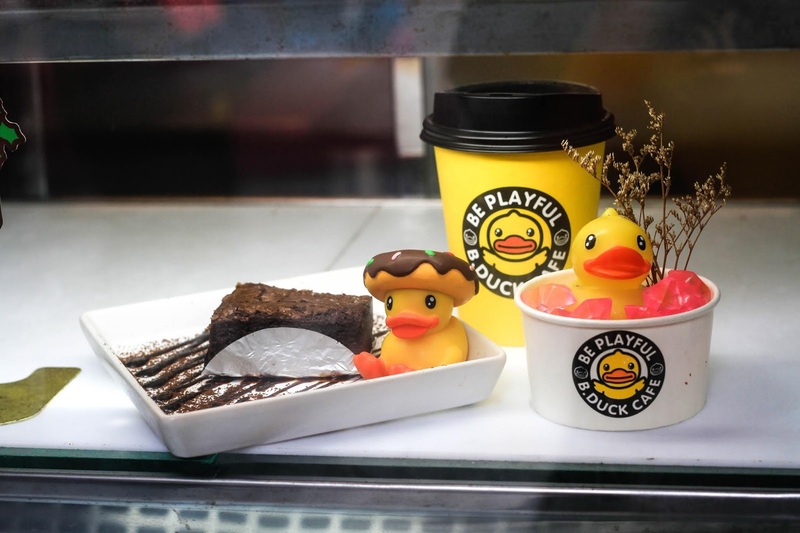 aah this café looks so darn cute! 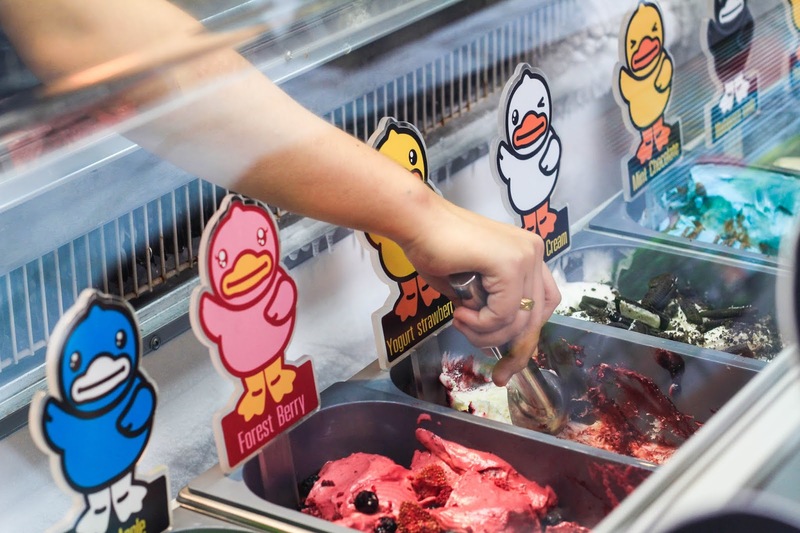 I love all the ducks everywhere haha. What an adorable cafe. So cute! Lovely photos dear! 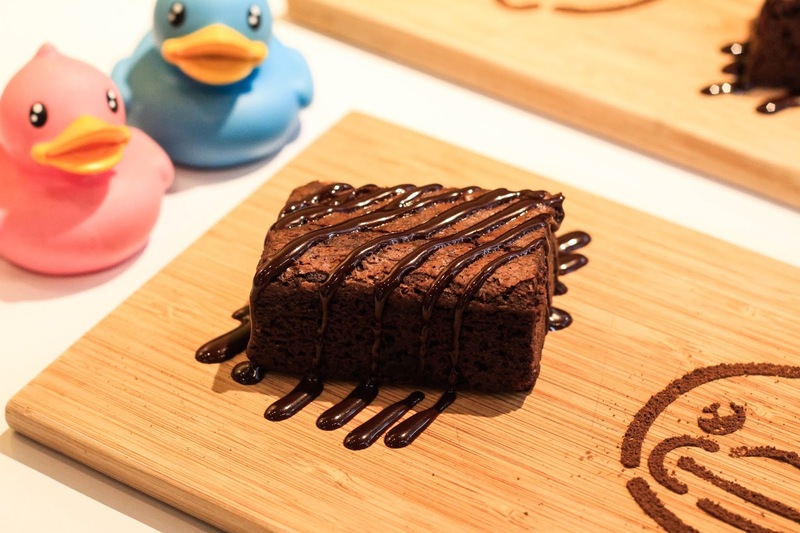 This looks like such a fun place and that brownie looks delish! 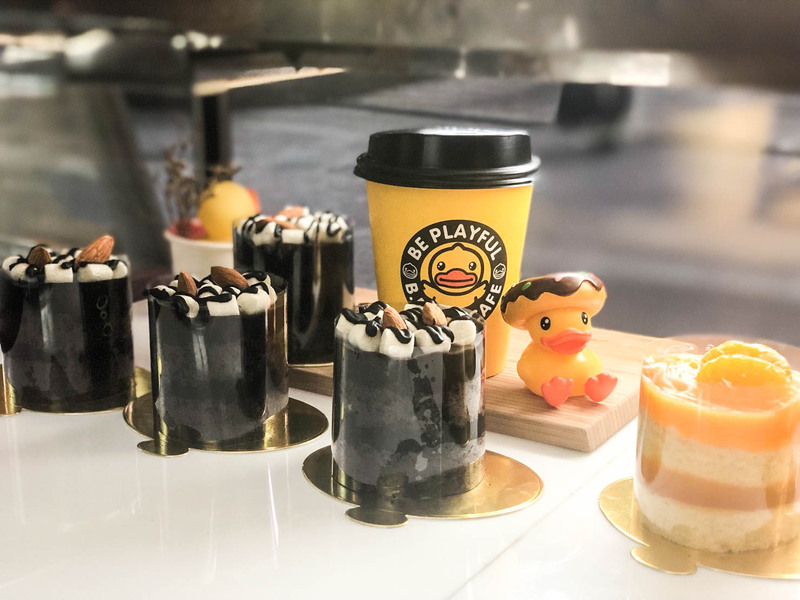 This café is fun and the food looks yummm. I'm up for moist dark chocolate brownies too. 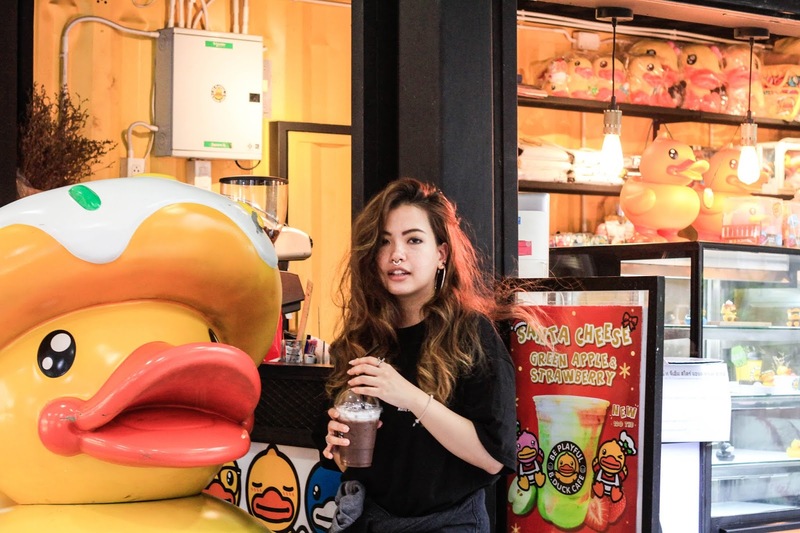 Bangkok is in my bucketlist actually so it's nice to know about this café.